t’s been a very hectic last few weeks for University of Colorado golfer Robyn Choi. Over the last 15 days, the junior has played 11 competitive rounds against some of the best women’s competition around. Eight came in the LPGA Q-Series, in which she finished tied for 45th, earning one of the final LPGA Tour cards available for 2019. 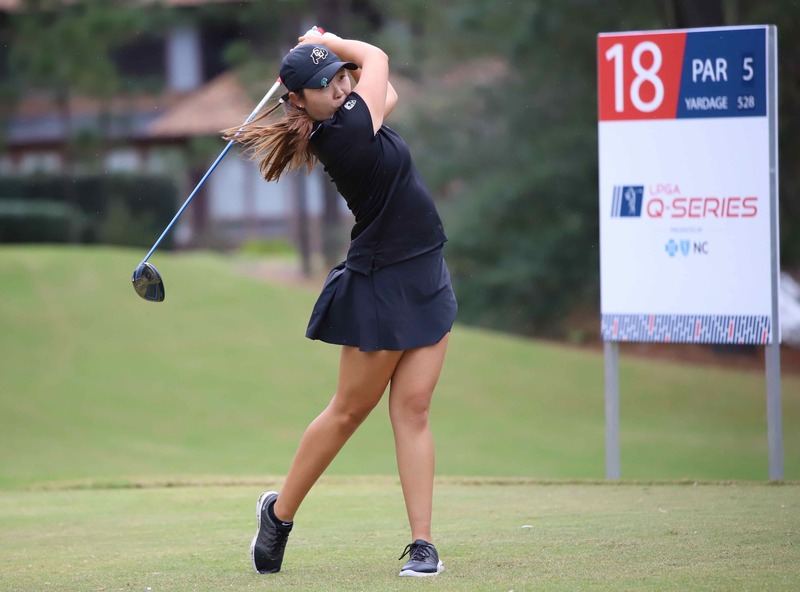 Then the two-time U.S. Women’s Open qualifier flew from Pinehurst, N.C., to Hawaii to compete for CU in the Nanea Pac-12 Preview, which started less than 48 hours after the eight-round Q-Series concluded. Not only did Choi (left in an LPGA photo) make it in time, she finished fifth individually in the 60-player event, joining fellow Australian Kirsty Hodgkins in posting top-five showings on Wednesday. Hodgkins’ third-place performance marked her second top-five in eight days and the seventh of her career. Hogdkins recorded rounds of 76-69-70 for a 4-under-par 215 total, which left her two strokes behind co-champions Yu-Sang Hou of Arizona and Tze-Han Lin of Oregon. As for Choi, she’s finished no worse than sixth in her three fall college starts this season, going sixth, third and fifth. This week, she carded scores of 70-74-72 for a 3-under 216 total. As a team, CU tied for third, accounting for its best team showing of the fall season, which concluded for the Buffs on Wednesday. Colorado finished with a three-day total of even-par 876, two strokes behind champion Arizona and tied with nationally top-ranked Southern California.